Many people say that you will see someone’s character or behavior even in the type or kind of house he has. You may also perceive the owners concept and theme based on what he is and what he wants, right? With that we can say that a kind of house that you have will also speak of what you are. Now we are going to explore a house design that truly speaks of the character and passion of the client. This will truly provide us not just ideas but inspirations of course. 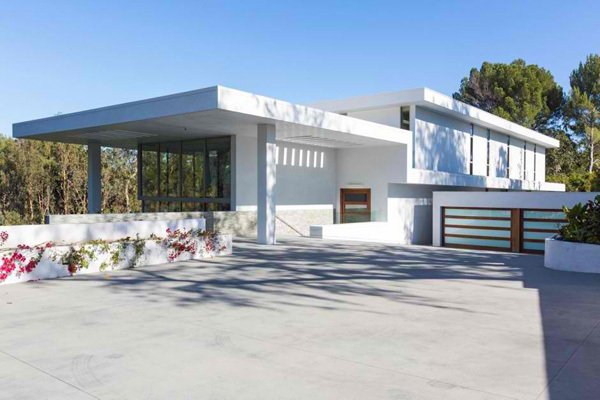 I am talking about this Holmsby Hillside Residence. This is specifically located at Los Angeles, California. 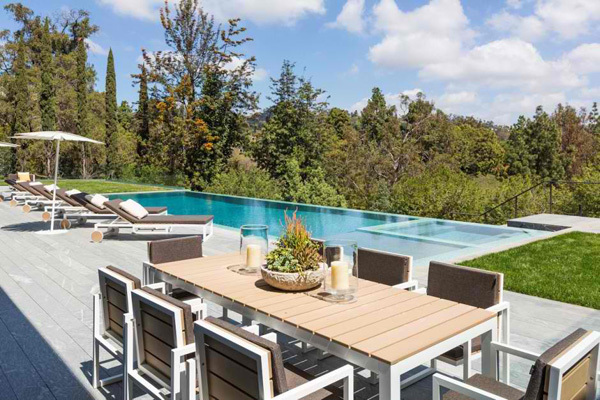 With 57, 250 square foot hillside site, this villa is surrounded with luscious vegetation and panoramic views of the famous Hollywood Hills beyond. The designer responded to the client’s demand of connecting nature to his house as he passionately loves nature. When we look at the interior we can also see how the clients exhibit his art collection since he is an artist. The designer secures a special space for his gallery. Let us see more of the different areas of this house through the images below. 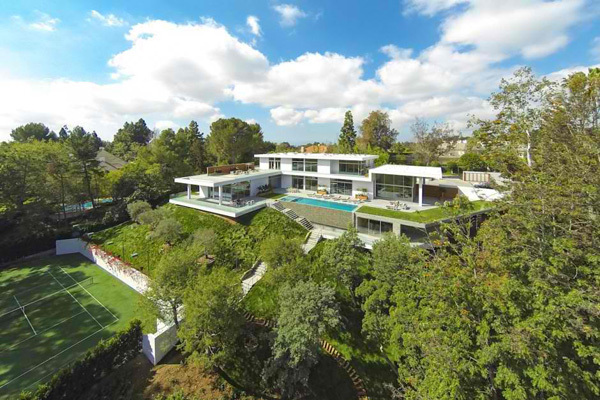 Luscious green plants and trees emphasized the volume and levels of this villa built in the hillside. 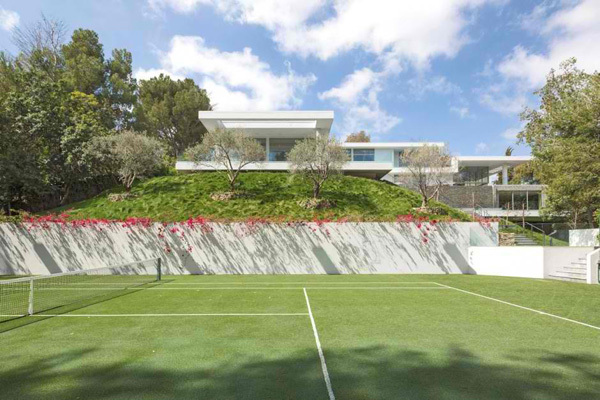 Spacious landscape is ultimately offered in the exterior for the client’s family enjoy their outdoor activities. Here is the entrance of the house where you can see the clean layout and lines presented in the building. See how the client mix and match the dark and bright colors from the accessories down to the furniture set in this living area. Here is another living space accessible to the patio and garden areas. The huge glazed sliding doors allow the clients to fully enjoy the exquisiteness of the nature outside. Looking closely at the materials of the furniture placed in this interior shows smart and durable characteristics. 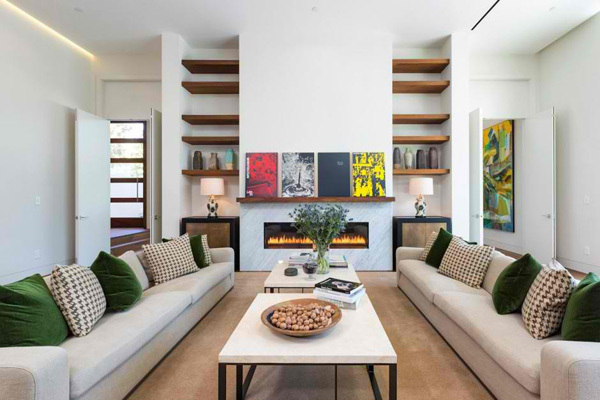 You may certainly see how the wonderful colors of the nature presented in this living space graced with the fireplace and plants in the center table. 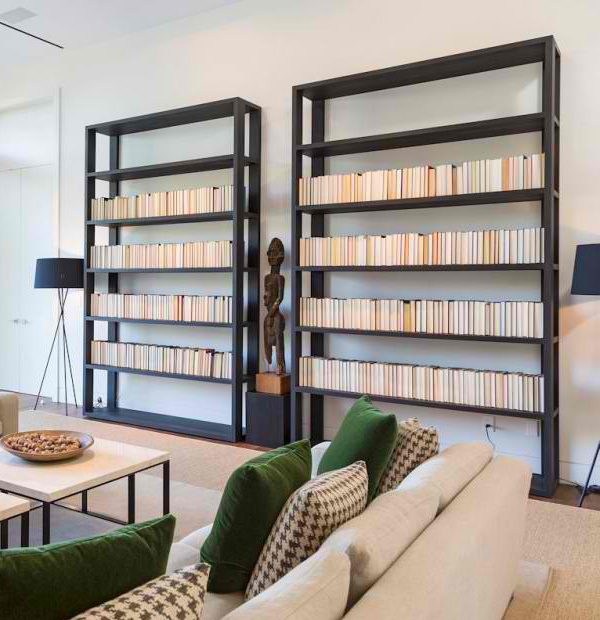 See how this sculpture stand out in the middle of these two shelves together with the two lampshades placed in the corners. The marble tiles are utilized in the walls shows which show contrast on its texture from the walls, floor and stairs here. Here is one of the amazing comfort zones in the house where the artwork in the wall provides expressions and adds life in this mini living area in this bedroom. 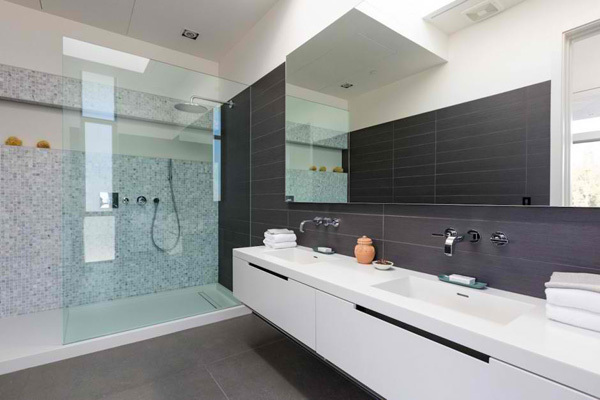 The mosaic tiles framed with glass material in this shower area provides a contemporary look. Here is the patio area where the client may take the full advantage of the different angles of the house and the panoramic views surrounding it. A modern design of dining set placed in the pool area for the client to enjoy the views while eating with the family. Cool and fresh water in the pool seems so inviting to allow the client enjoy the summer in the middle of this tall trees. The vibrant lights from the interior and the pool area reveal its elegance and luxury. As you have witnessed the different areas of this house, you may definitely feel comfortable and perceive the character of the homeowner. The elements and details from the floor, walls, furniture and fixture extremely reveal the personality of the client. 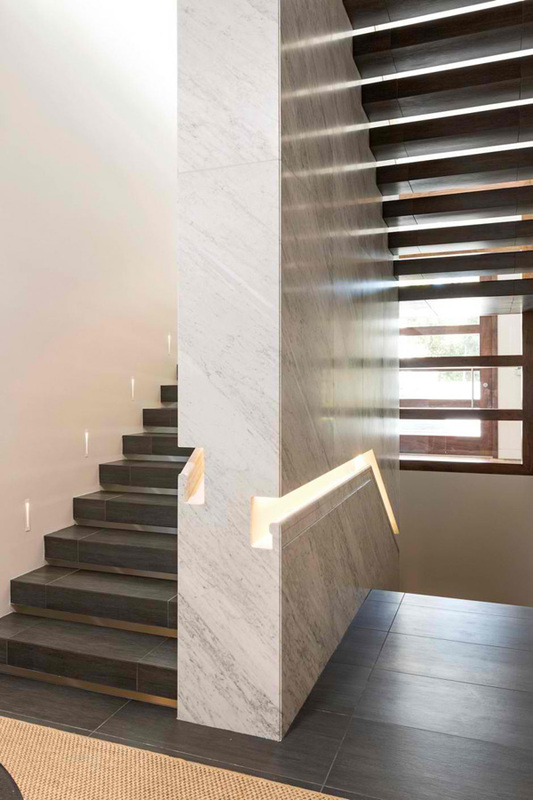 The Quinn Architects – quinnuk.com, made use of the highest quality materials from a marble clad stairwell to custom recessed lighting and American Black walnut flooring. I hope that once again we gave you another set of ideas that may help you start planning what your house will look like in the future.